Southeast Asia is famed for its rich and tasty soups. 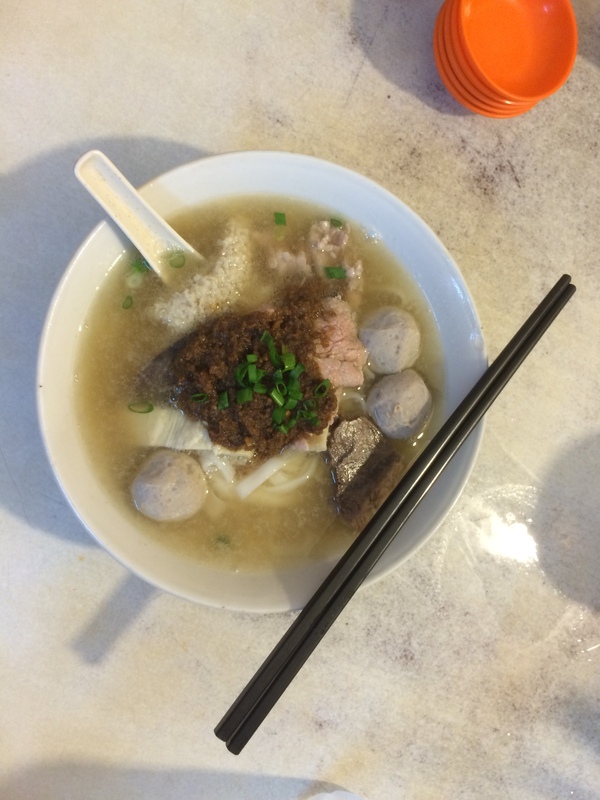 One variety that I had not much experience with in KL is beef noodle soup, the Malaysian cousin of pho and bakso. 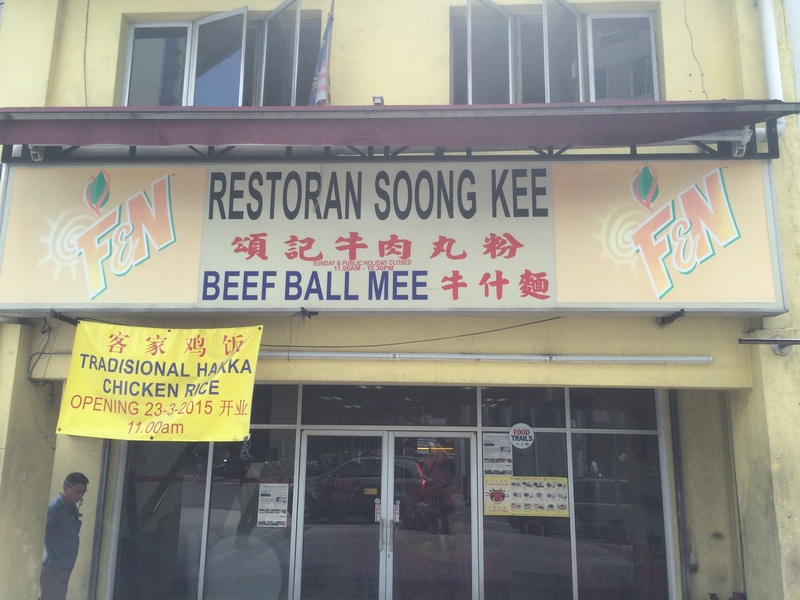 So, together with a friend, I tried today two well-known beef ball soup restaurants in the Mesjid Jamek area: Soong Kee Beef Ball Noodle and Shin Kee Beef Noodle Specialist. Two bowls of soup for lunch is certainly gluttonous, but we soldier on. The signature preparation from Soong Kee is the “dry noodles” where the noodles are served separately, smothered in a rich minced pork sauce. The soup comes in its own dish. I ordered the mixture of balls and tripe. We followed that with Shin Kee. At Shin Kee we opted for the more traditional preparation. I had the “mix” that contains balls, tripe, and meat, and went with fresh noodles instead of yellow noodles. OK, so how do they compare? Both were very tasty and I’d recommend both. That said, there are some differences. 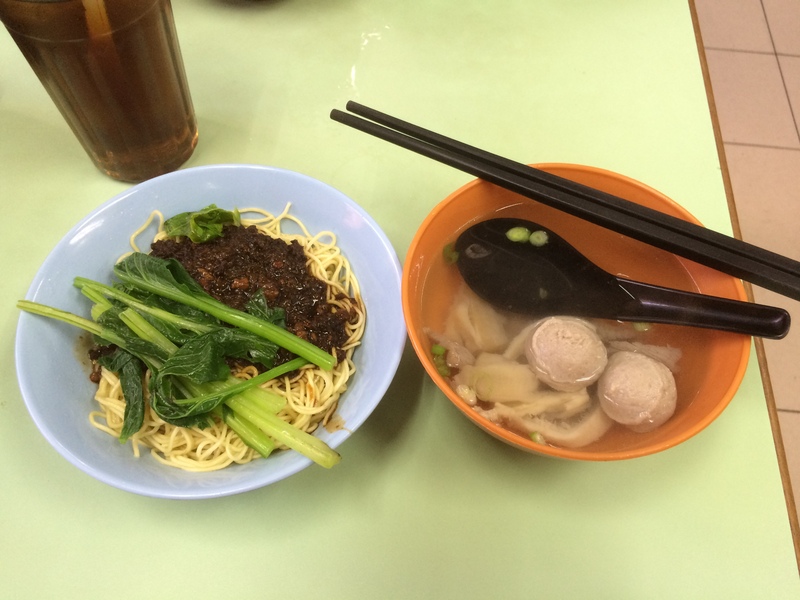 The broth at Soong Kee tastes clean and salty, a nice contrast to the oily noodles. Shin Kee’s broth is much richer, and tastes fattier (in a pleasant way) while being less salty. The balls were similar at both, with a pleasant springiness. I would rate the tripe at Soong Kee slightly higher, although both were very good. 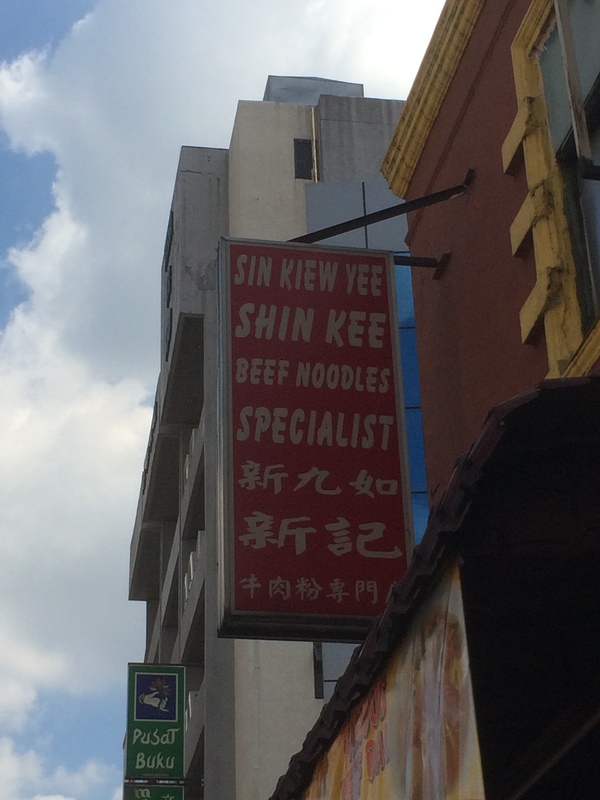 In all, hard to go wrong with either when you have a hankering for some beef noodle soup.